Daniel Logan started acting when he was 10 years old. He was born and raised in Auckland, New Zealand. He got his break when Auckland youth rugby teams were being scouted for a TV commercial. After auditioning with hundreds of other young rugby players, Daniel got the part, his first acting role. "I played a little boy who gets knocked into the mud by [rugby star] Michael Jones," Logan recalls. "I've always been a show-off," he admits. Daniel was noticed by other casting agents, including Saatchi & Saatchi, which led to more commercials and eventually TV appearances. Among these include: a recurring role in the medical/ drama series ”Shortland Street,” a guest appearance in the international television hit ”Hercules: The Legendary Journeys,” as well as lead & supporting voices in the animated series ”Tamota” and ”Takapu.” At the top of this young actors growing resume sits ”STAR WARS: Episode II - Attack of the Clones,” with the coveted role of Boba Fett. 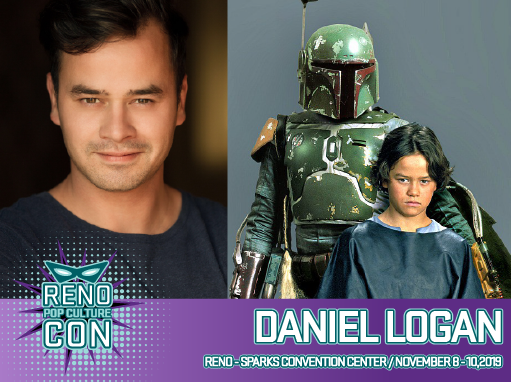 Daniel has recently reprised his role as the voice of Boba Fett in the animated television series “STAR WARS: The Clone Wars.” Logan currently resides in Los Angeles and is continuing a career in acting.